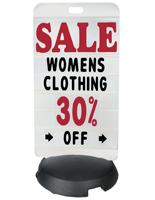 This sidewalk sign with changeable letters in black offers 320 characters for creating custom messages outside a store, bar, or restaurant. 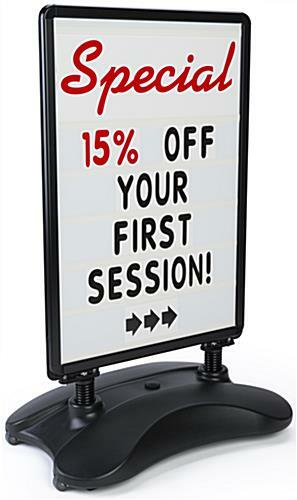 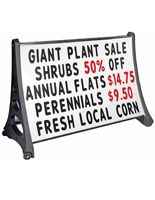 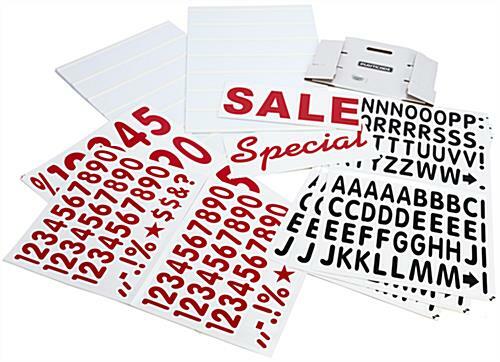 To make it even easier, we've supplied a "Special" and "SALE" sign anticipating you'll use those frequenlty. 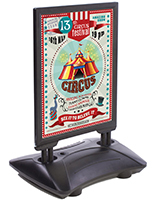 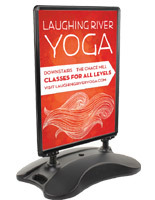 Each of these 24" x 36" stands advertise a business from both sides. 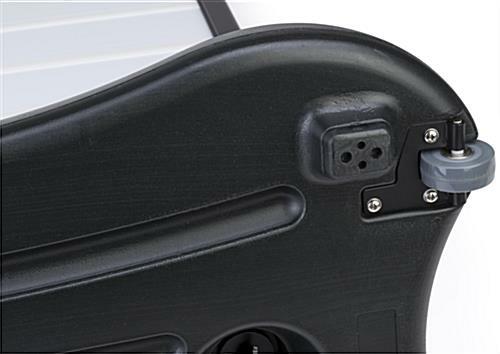 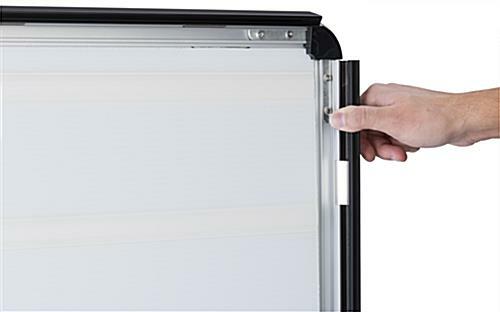 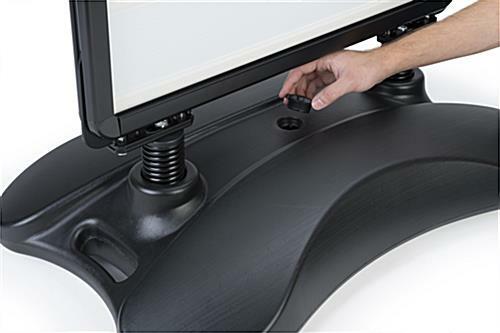 The snap frame design is easy to work with and update. 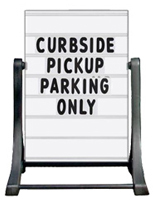 This sidewalk sign with changeable letters and a protective PVC lens. 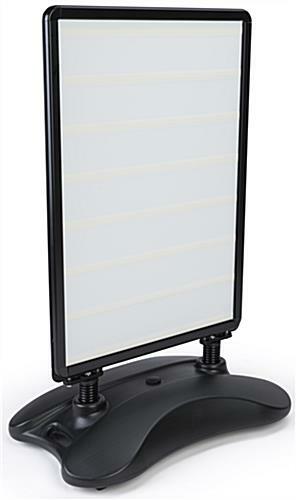 This message board can be filled with water at the base to keep the presentation from toppling over. 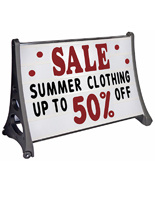 This sidewalk sign with changeable letters is a great promotional tool for just about any establishment that depends on foot traffic.